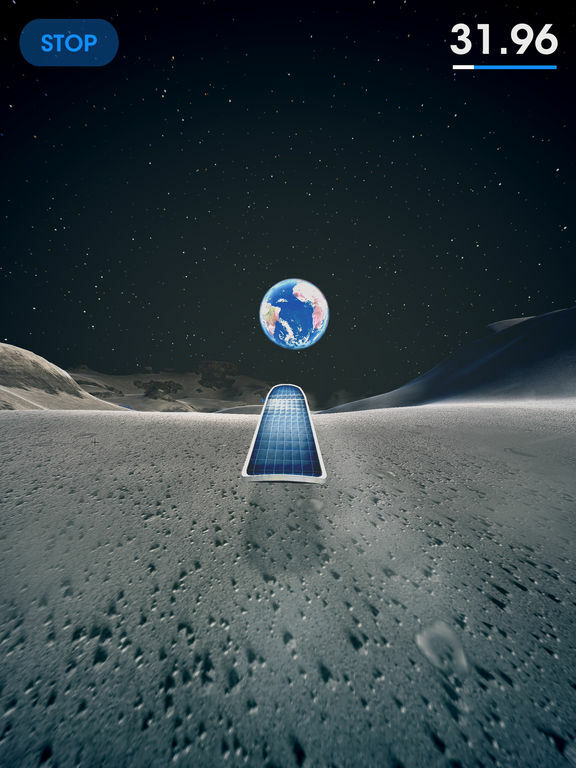 In Moon Surfing, you grab a solar board and surf the moon’s dusty hills and steep craters. It is up to you – if you roam freely, perhaps practicing some kickflips, or if you head directly to the marked waypoints. All the game’s 5184 areas are procedurally generated. 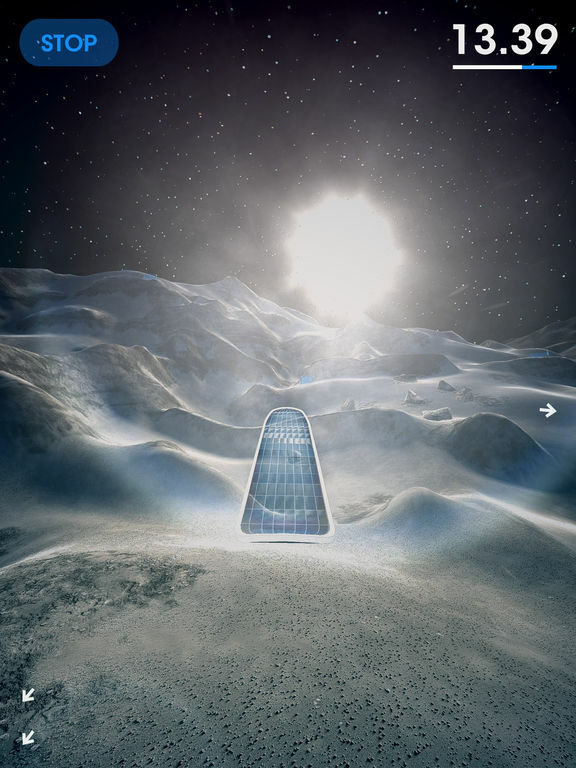 The landscapes early in the game, are reminiscent of NASA’s Apollo program. But, when you reach the far side of the moon, the terrain algorithm gets increasingly out of hand, producing an ethereal topography, suited only for the most experienced of players. 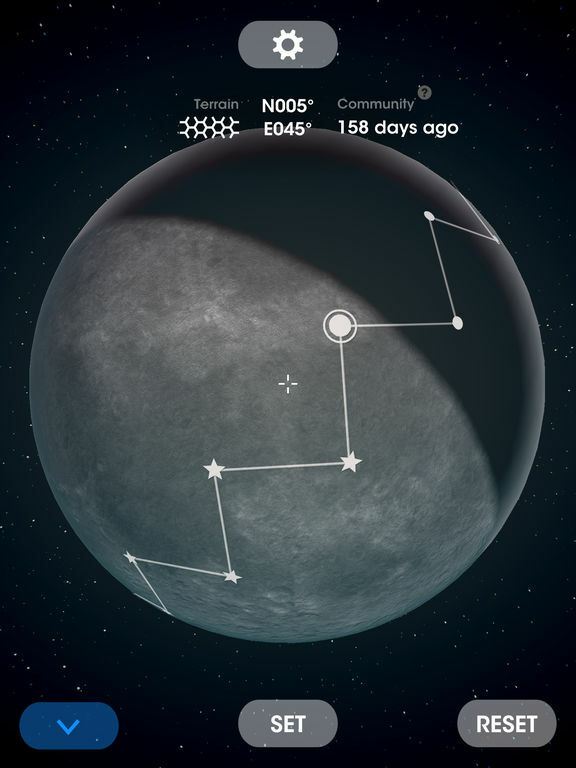 Moon Surfing’s online server keeps track of your progress, and the progress of all other players. You will know which areas have been conquered already, and when. All players are in this together. 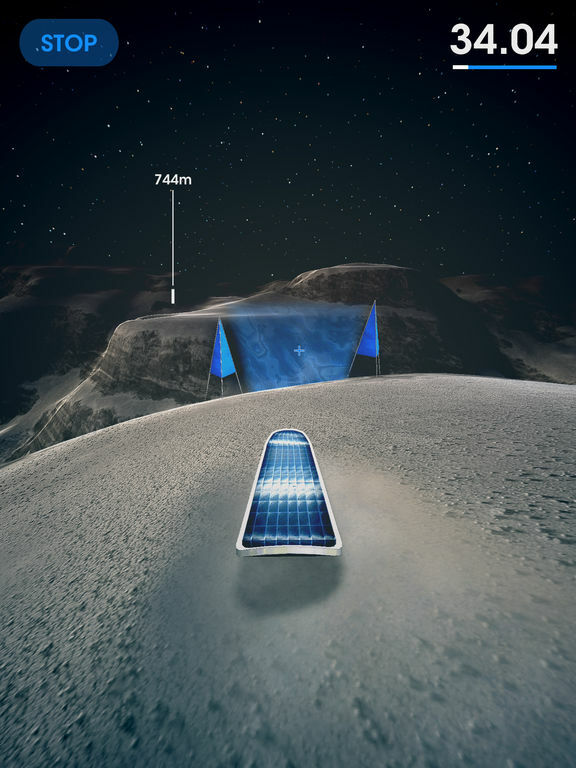 Moon Surfing isn’t your typical runner, and that’s mostly a good thing. 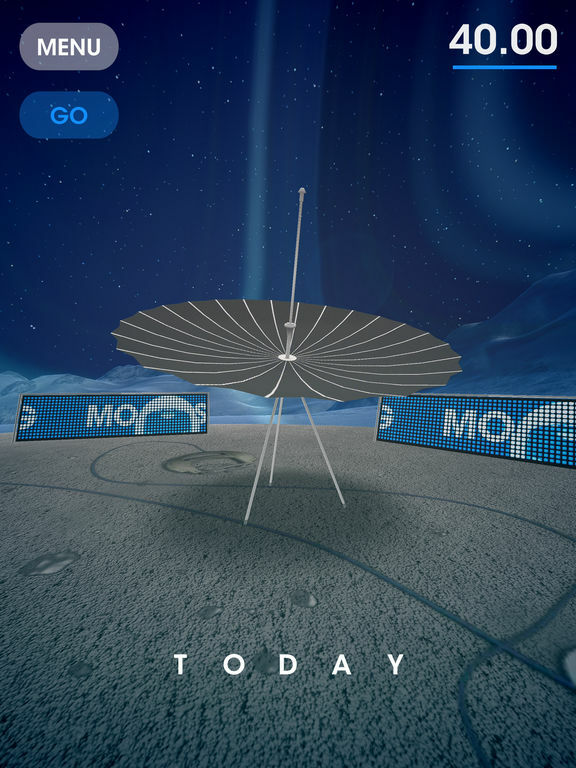 Its open-endedness, efficiency-based gameplay, and unconventional structure make it feel like a breath of fresh air in an App Store full of generic runners, but that doesn’t make it perfect. 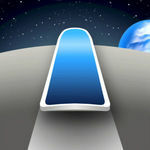 Despite some rough edges though, Moon Surfing is an experience worth having. Whether you are looking for a fun and pretty game to cruise through, or something you can race against time and get the adrenaline pumping with, this game will deliver. 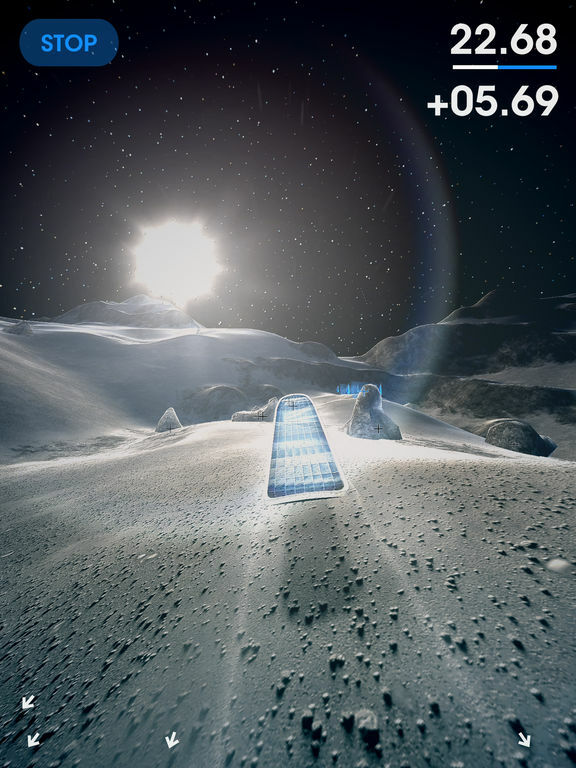 Over all I am a huge fan of Moon Surfing and can see myself spending a lot of my future free time exploring the moon, though right now I am off to find more Christian Schnellmann games in the app store.